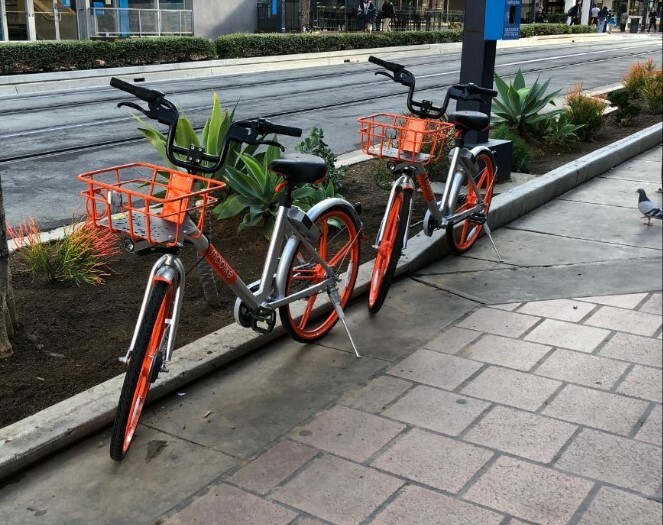 The sudden proliferation of dockless bicycles and scooters — from companies such as LimeBike, Ofo, Mobike and Bird — has taken San Diego by surprise, leading to excitement, confusion, frustration, and joy. These shared vehicles, which are affordable and easy to rent through smartphone apps, are quickly reshaping how San Diegans think about their streets and sidewalks. Do motorized scooters belong on the street or the sidewalk? Should bikes be parked in designated racks, or left wherever there is space available? Should we have painted bike lanes now, or barrier-separated bike routes later? What’s the best way to keep every person safe, whether they’re on a bike, on a scooter, or on foot? These are the questions now being debated across town. The arrival of dockless, shared bikes and scooters is just the latest development in what I often call the sea change we’re facing in the world of transportation in the 21st century. The shared bike phenomenon follows the rapid rise of car-sharing and ride-hailing companies such as Uber, and the shared bicycles bring with them many of the same challenges and benefits. Uber and its fellow transportation network companies have resolved many of the early questions about how to integrate shared vehicles into our existing transportation frameworks, but I would argue that we’re still only at the beginning stage of our transition into an automated and shared economy. The TNCs, tech companies and traditional automakers are now all racing to be first to market with fleets of autonomous vehicles. In just a few years, these autonomous fleets will proliferate on our streets, triggering the widespread transition from private car ownership to transportation as a service. The shift to transportation as a service will force us to deal with many questions that most of us have never considered before. Consider the recent report by RethinkX that predicted private car ownership could drop 80 percent by 2030, and the cost of ride-sharing could be four to 10 times cheaper than owning a car. If fewer people own bikes or cars, what will we do with all the parking we’ve built today? When people are spending less on transportation, what parts of our economy will benefit most? If we can transport more people in fewer vehicles, what will we do with excess road capacity? It may be hard to imagine that such monumental change is coming so quickly, but just remember that in New York City in 1900, almost every vehicle was horse-drawn, and when people thought about how to improve transportation, they may have been inclined to think about “faster horses.” By 1913, on the same streets in New York City, these horse-drawn carriages were replaced almost entirely by automobiles. As we see more and more evidence of the coming shift to the shared economy — whether self-driving minivans or shared electric scooters — we must be ready for change now. We must be open-minded and prepared to adapt. We must go beyond thinking about how we can make our horses gallop faster and start making decisions about how we will harness the benefits of the next great innovation.